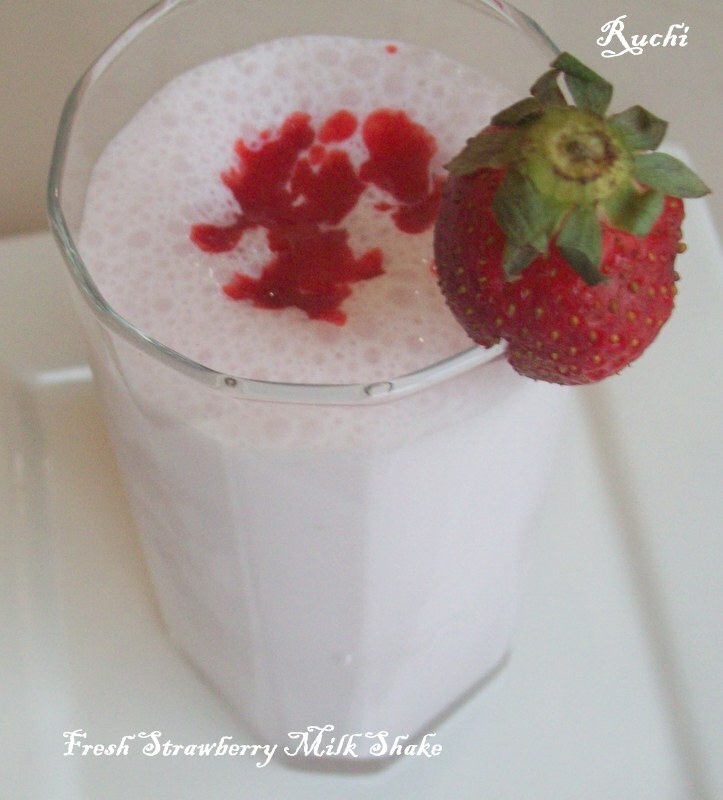 A yummy and refreshing Strawberry Milkshake! Milkshake of any kind is our family favorite. My children love strawberries; somehow I am not a huge fan of these sour berries. But I like this gorgeous pink milkshake which is quick and easy to make and a treat for our eyes and stomach. 1.Wash the strawberries and remove the green leaves and chop them roughly into pieces. 2.Make a puree of strawberry adding sugar in a blender. 3. Check the sweetness and if needed add extra sugar. 4.Add milk and whipping cream to it and again blend well. 5.Divide the mixture among 4 glasses and garnish with the whole berries. Serve immediately. 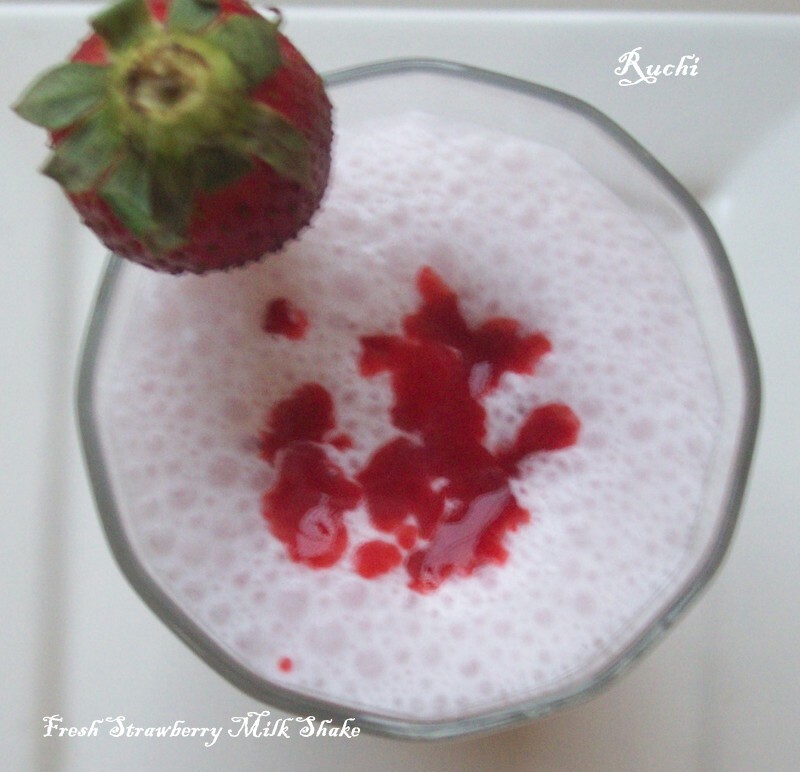 6.Now chilled, creamy refreshing Strawberry Milk Shake is ready! Love to have this shake, sooo tempting.